How cool this New Era 920 Golden State Warriors Light Royal Strapback! This iconic cap features a curved brim, six panels with eyelets, Golden State Warriors logo embroidered in front, New Era logo stitched on wearer's left finished with adjustable strapback enclosure for secure fit and comfort. 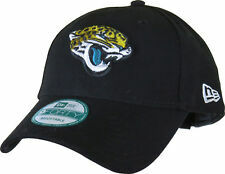 New Era 9Forty Jacksonville Jaguars NFL The League Adjustable Cap. 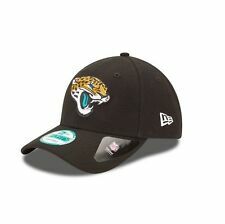 Black with the Jaguars front logo,the N ew Era side logo, and the Jaguars rea r strap logo. One size fits most, with an adjustable rear velcro strap. Embroidered Minnesota Vikings logo on front. Embroidered New Era logo on side. Velcro fastening with Minnesota Vikings name logo. 6 panel. 9Forty fit. Authentic New Era Official League cap. From the official "The League" range by New Era. New Era logo on side. NBA logo embroidered to rear. One size fits most with adjustable buckle strap. Finest quality hat with 3D embroidery to front. Adjustable Strapback. It was founded in 1920 by German immigrant Ehrhardt Koch. Grey / Red Polka Dots. New Era Since 1920 Ask Any Pro Cap. ABOUT NEW ERA Our warehouse and suppliers work very efficiently to ensure that your orders are dispatched as quickly as possible. Denver Broncos NFL New Era snap back Hat 7 1/2 (59.6 cm ) 59 FIFTY brand new with tags , price tag still attached, collectors item never been used. 9FORTY Cap features an embroidered team logo at front, stitched New Era flag at wearer's left side and team logo above an adjustable closure at back. Material: 100% polyester. 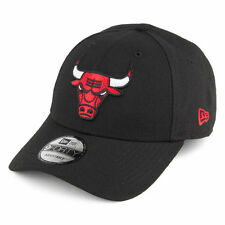 Classic New Era NBA 9Twenty Adjustable Cap. Black Colorway Underneath Brim of Hat. Unstructured Hat & Black Strap Closure. Most orders will Require adult signature. Raised Embroidered Front Logo. Generally Fit up to 7 3/4's (Fitted Size). Authentic New Era Official League cap. 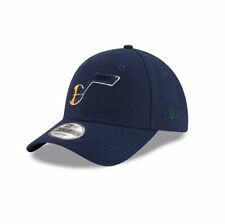 From the official "The League" range by New Era. New Era logo on side. NBA logo embroidered to rear. 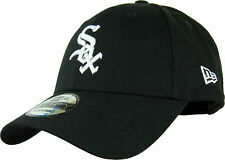 Finest quality hat with 3D embroidery to front. One size fits most with adjustable buckle strap. This is a New Era9Forty NBA Boston Celtics Adjustable Strapback Cap. This New Era strapback cap is made from 100% Polyester. Style: NBA Boston Celtics. Strapback Cap. Style Baseball Cap. Tailor made or personalised goods. Colour: Navy. About KJ Beckett. Colour: White. About KJ Beckett. This is a New Era9Forty Dallas Cowboys Adjustable Strapback Cap. This New Era strapback cap is made from 100% Polyester. Strapback Cap. Style: NFL Dallas Cowboys. Colour: Navy Blue & White. MPN THE LEAGUE DALCOW T OSFA. High Profile, Customize Poly Strapback Cap. Classic New Era MLB Original Fit Hat. MLB Cooperstown Classic Hat. Red Colorway Underneath Brim of Hat. MLB Authenticity Sticker Under the Brim. New Era Embroidered side Logo. 9FORTY Cap features an embroidered team logo at front and stitched New Era flag at wearer's left side. Adjustable strapback closure at the back. Equipped with patented technologies: COOLERA allows the air to circulate better and dissipates sweat, MICROERA reduces odors and is antimicrobial, SOLARERA for UV protection. 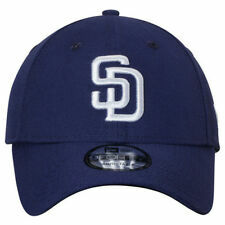 Authentic New Era 9Forty San Diego Padres "The League" cap. Finest quality hat in N avy with a 3D embroidered Padres "SD" logo to front. New Era logo on side. Style Baseball Cap. One size fits most with adjustable velcro back.